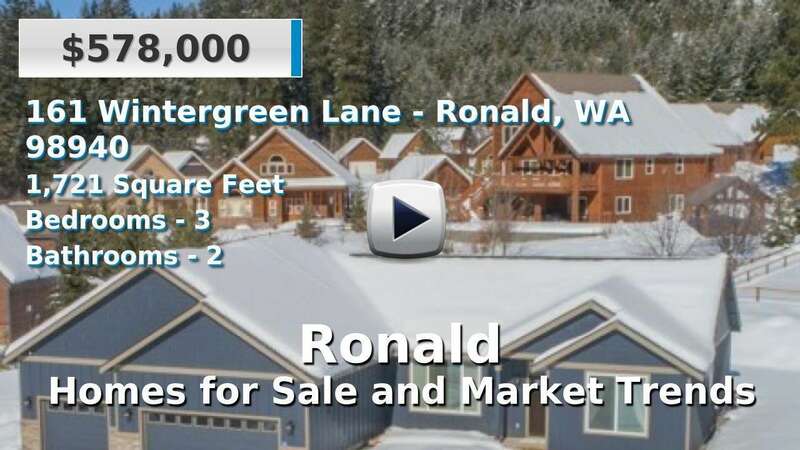 Ronald is a tiny, rural community in Kittitas County at the southern end of Cle Elum Lake. It sits along the Cle Elum River on Route 903, near the junction with Route 90 which is the Snoqualmie Pass. The closest communities are Roslyn and Cle Elum; the area's major city, Ellensburg, is about 30 miles to the southeast. Thanks to the Snoqualmie Pass over the Cascade Mountains, Ronald is just 85 miles or roughly a 1.5 hour commute from Seattle. This small town has not seen as much growth as some in the area, but homes for sale here are fairly new and are convenient to the lake, mountains, and national forest. 3 Beds | 2.75 Baths | 3963 sq. Ft.
4 Beds | 3.5 Baths | 3790 sq. Ft.
3 Beds | 2.5 Baths | 2471 sq. Ft.
3 Beds | 2 Baths | 2416 sq. Ft.
4 Beds | 2 Baths | 1682 sq. Ft.
3 Beds | 2 Baths | 1530 sq. Ft.
2 Beds | 0.75 Baths | 675 sq. Ft.